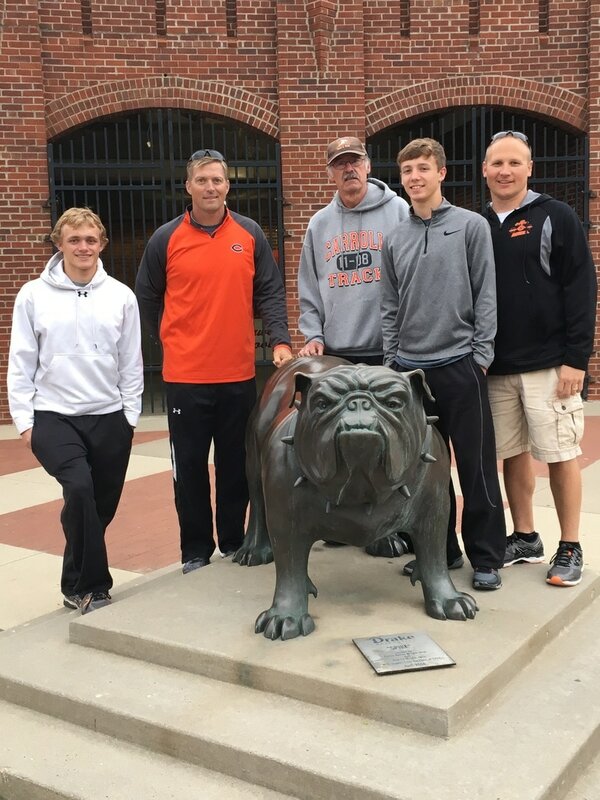 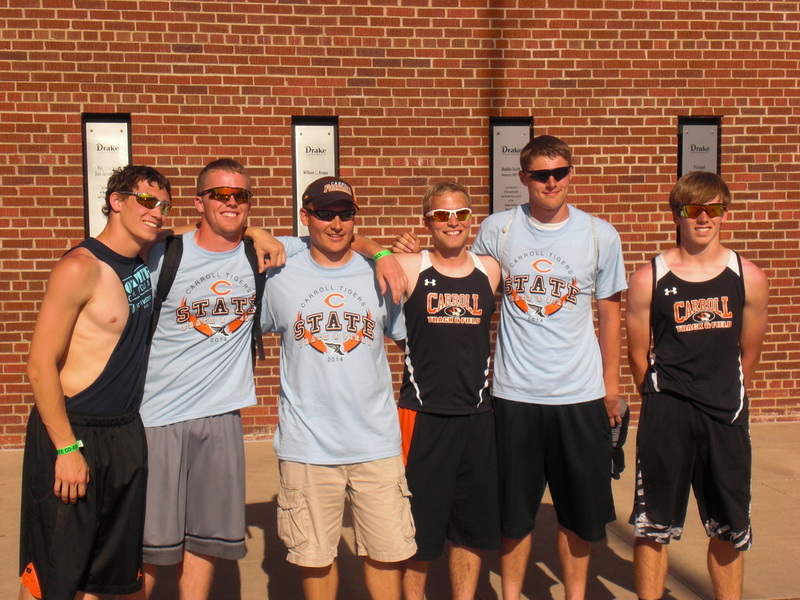 Dylan Millermon and Brennan Bock, along with Coach Schable, Baddeley, and Rowedder at the State Meet. 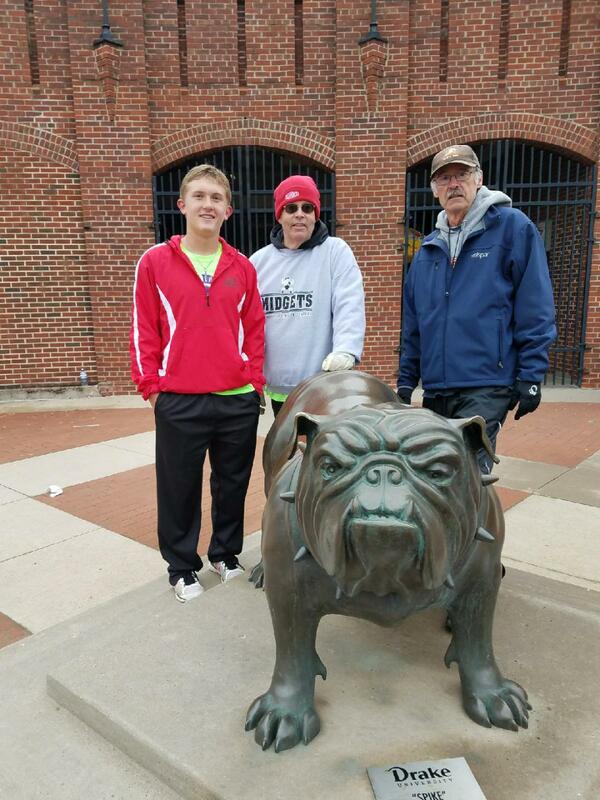 Surprise visit with my brother, Brent, and his grandson at the State Meet. 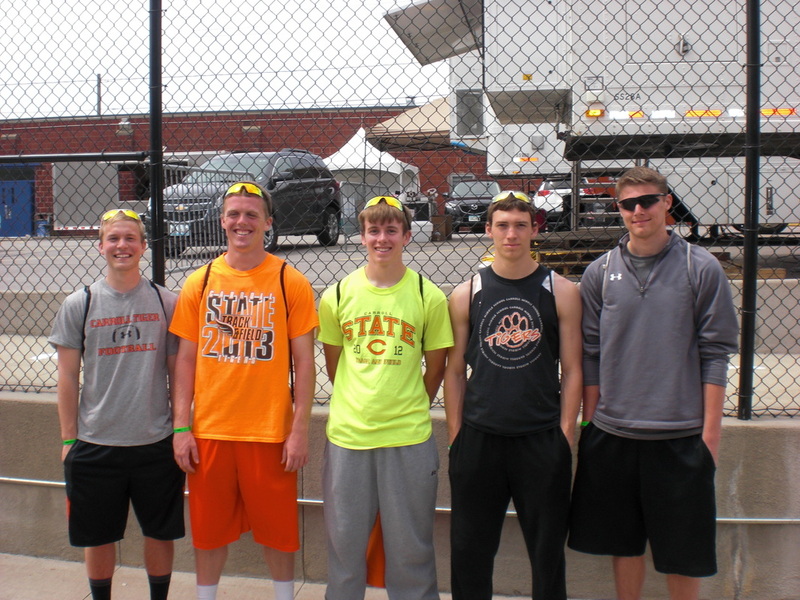 Kodak moment for a few Tigers at State. 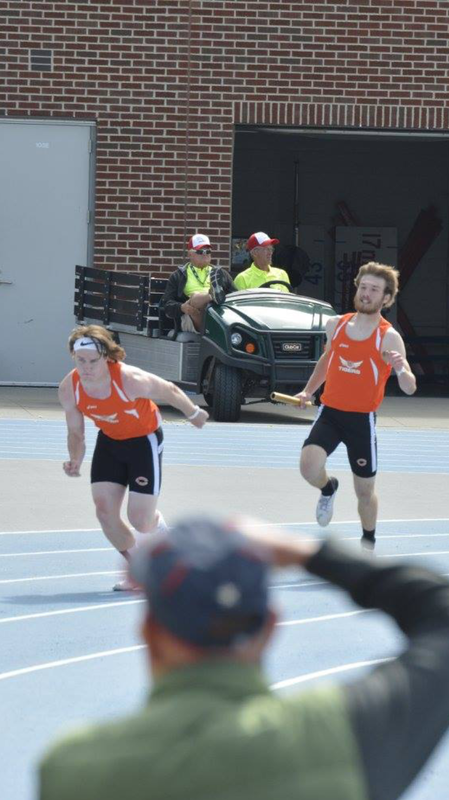 Matt passes to Chandler in the Medley. 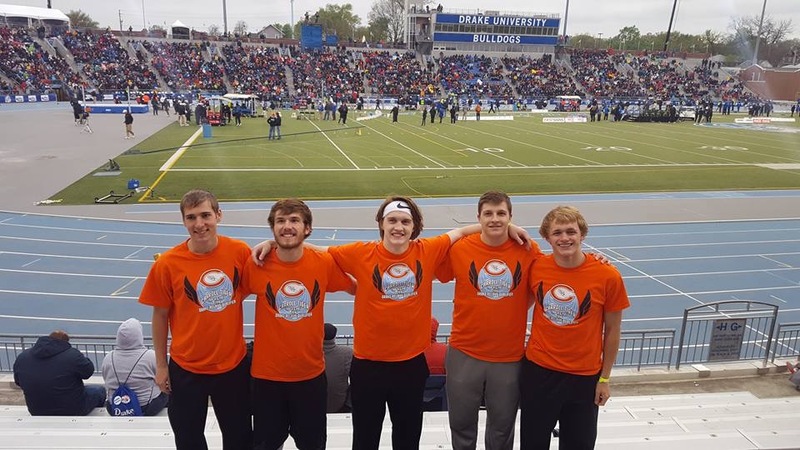 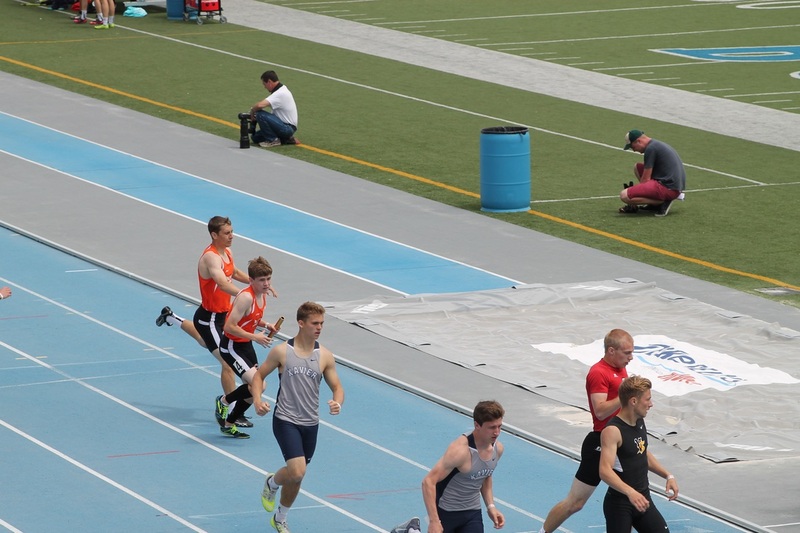 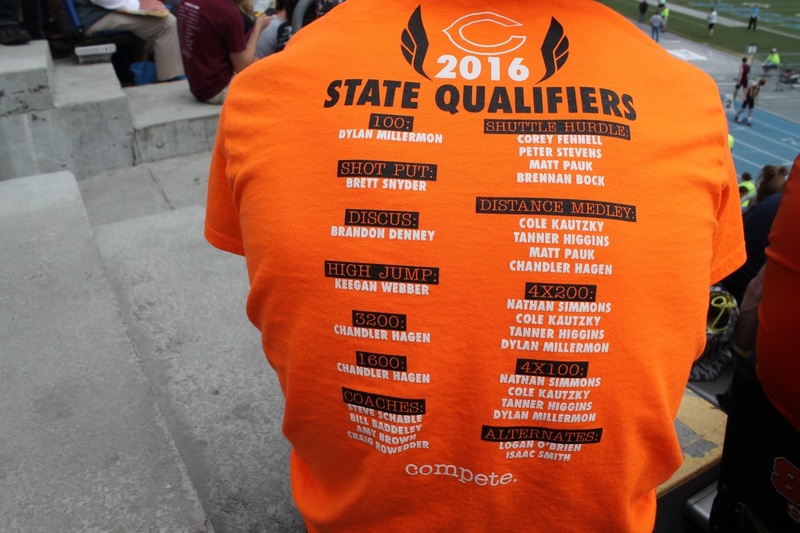 10 events for the Tigers at the State Meet. 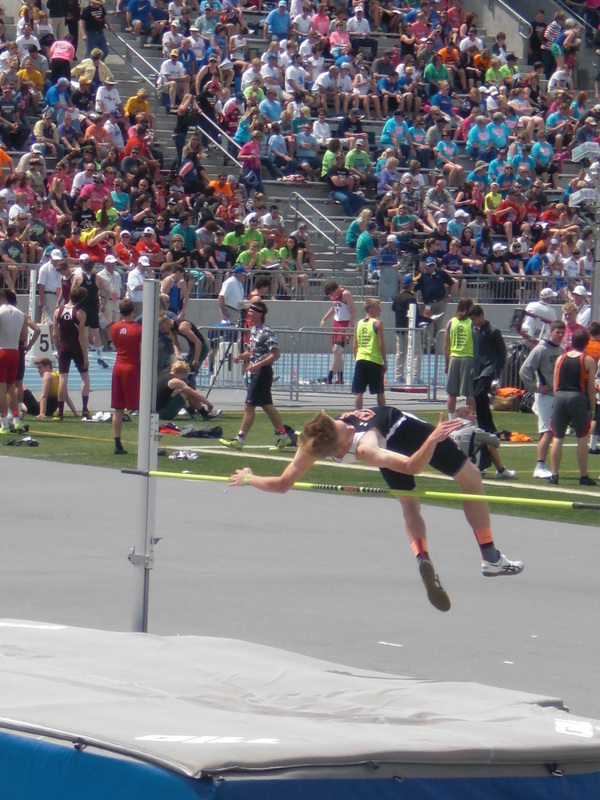 Webb doing his thing at the High Jump. 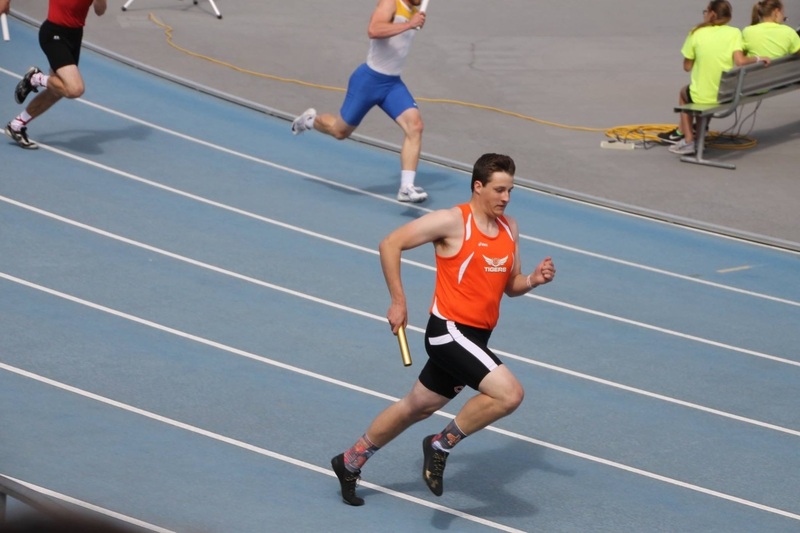 Colton Thompson "CT" qualified for the long jump at the 2014 State Meet. 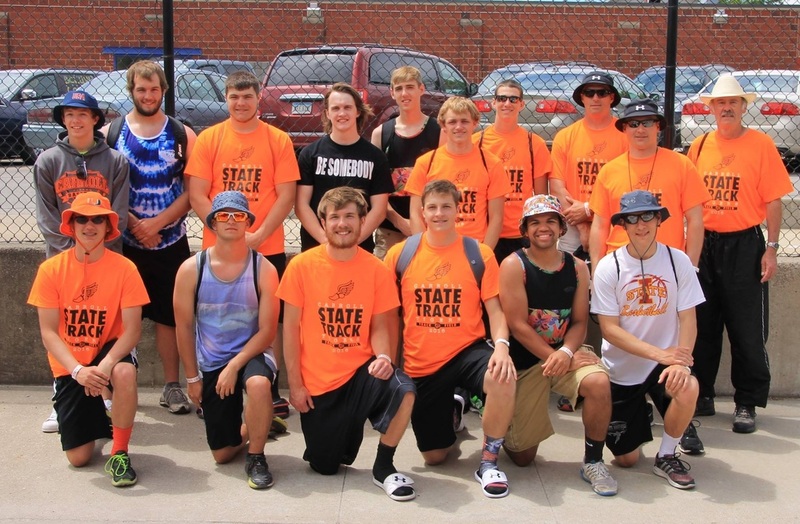 The Carroll High Tigers at the 2014 State Meet. 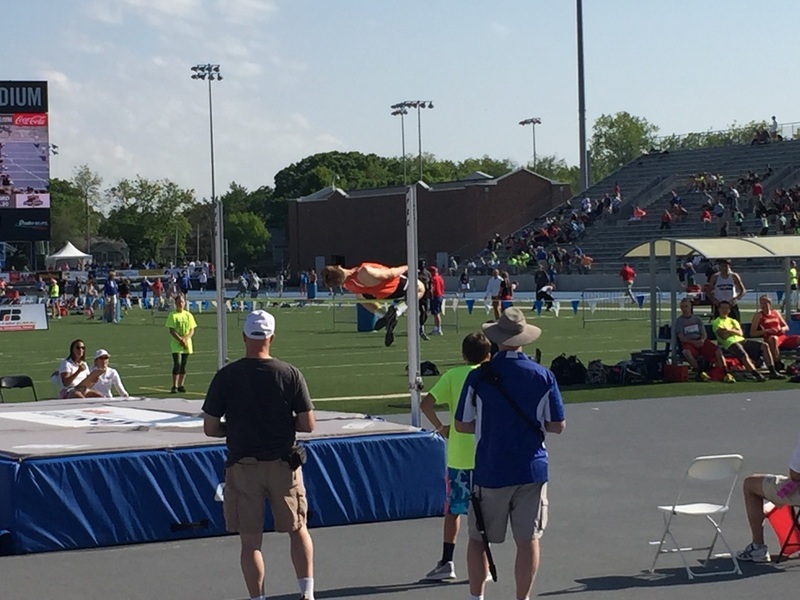 Cooper La Rue "The Hawk" doing his thing at the high jump pit at the 2014 State Meet.